30 Day Challenge #12: A book so emotionally draining I could not finish or had to set it aside for a bit. What a long title for this post. I better make sure my post is longer than that I suppose. I do not recall a book so emotionally draining that I had to set it aside. However I have blogged before about how disturbing I found it to read this book. I found the book incredibly disturbing, and I can’t say why. I am not usually affected this badly by dystopian literature, and while 1984 and Fahrenheit 451 are equally horrific, this book seemed to have an added emotional impact I can’t put my finger on. It tells the story, in the first person, of Offred. Offred is a precious national resource in the (not too)-futuristic theocracy of Gilead. She is a “handmaid”, which means she is little more than a slave, kept for her ability to breed. It is a good book, but not easy to read. Offred is a national resource. She is a handmaid: viable ovaries make her a precious commodity in the Republic of Gilead, where the birthrate has plummeted to dangerous levels. Assigned to a Commander whose wife cannot produce, Offred’s purpose is onefold: to breed. 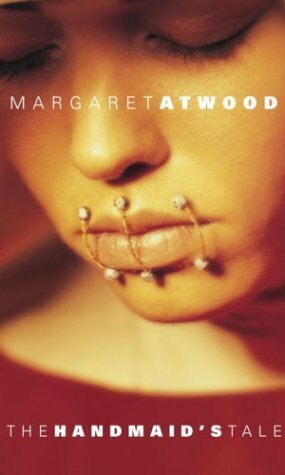 I read The Handmaid’s Tale, but Margaret Atwood, as part of the 1001 books challenge. 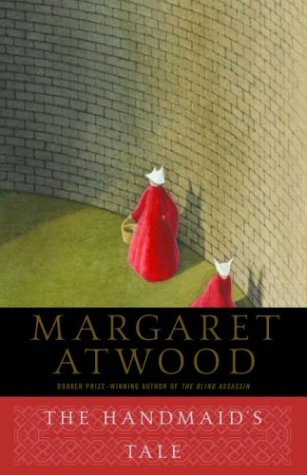 Set in a dystopian future, in a post-feminist America called Gilead, it is quite a disturbing read. Gilead is ruled by a totalitarian theocracy, and women are subjugated to a spectacular degree. Due to the low reproduction rates, high ranking officials are assigned ‘handmaids’: concubines for reproduction. There is a strict hierarchy of roles in the society, and the handmaids fall into an interesting position. They are a valuable national resource, yet they have no rights. The wives in the homes where they are assigned hate them, and can vent their anger in any way they wish, however killing a handmaid is a serious and punishable offence. They are told they are a valuable part of the society, yet they are kept in rooms that are no more than prisons, where the light fittings are removed, and the windows made of unbreakable glass, so they can’t commit suicide. I found the book incredibly disturbing, and I can’t say why. I am not usually affected this badly by dystopian literature, and while 1984 and Farenheit 451 are equally horrific, this book seemed to have an added emotional impact I can’t put my finger on. The story is told by Offred, who is one such handmaid. Offred is not her real name, and only means that she is currently assigned to a Commander named Fred. (Of-Fred) Her story is told in a disjointed, stream of consciousness style which takes a while to get used to. Perhaps the book is disturbing because Offred keeps flashing back to her ‘old’ life, with her husband and child. We see her in perfectly normal scenes we can relate to; arguing with her husband about the dishwasher, throwing the plastic shopping bags away so their daughter doesn’t choke. This makes her current predicament so much worse, by contrast. A very well written book I think, and my only complaint is the epilogue, which seems to serve no purpose except to tie-up loose ends and give the story some closure. I feel the ending before this chapter, while not conclusive, makes a better ending to the story, and more in keeping with the tone. I found the epilogue rather jarring.